The 2017 Sequoyah Book Award Masterlists have been announced! As proud supporters of the Sequoyah Book Award program, we create free posters, bookmarks, plus an exciting promotional video each year – for Oklahoma librarians and their students. Perma-Bound does not sponsor these promotional items, so we design and pay for them ourselves. To you – our faithful customers, we thank you for everything you do to help us afford these projects. To those who haven’t made the switch to Perma-Bound – we ask that you consider partnering with us by choosing Perma-Bound as a primary supplier of your library books. POSTERS: We will have 2017 posters at OLA this year in Tulsa. Rumor has it there might be a CHILDREN’S PREVIOUS-WINNERS POSTER this time around!!! We hope you will attend, but if you don’t, watch for our tweets (@brownbrosbooks) during OLA week for times and locations to meet us for evening poster-pick-ups in Tulsa and in OKC. BOOKMARKS: At the OTA/Encyclo-Media conference in October, stop by our booth and receive 25 free Sequoyah bookmarks. 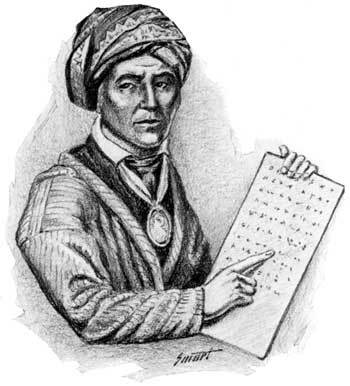 Tell us you ordered your Sequoyah books from Perma-Bound, and we’ll give you an extra 25! Tell us Perma-Bound is your main book supplier, and we’ll send you away with a big stack of them. DVD: We are hard at work securing willing authors to help make this year’s author DVD the best ever! Only 10 days into the project, we already have commitments from 2/3 of the Children’s and Intermediate nominees! They are so kind, and very excited to speak to your students! We are in the process of contacting the high school nominees now. Speaking of the DVD – look for major changes this year. The main presentation will be much shorter – under 20 minutes – and will feature a one-minute message from each participating author. Then, there will be a bonus section, where we will have additional messages from the authors, their book trailers, and more! How do you get the 2017 Author Video??? 1. Our most faithful Perma-Bound customers can request and receive the video links for an exclusive 2-month bonus period, from about August 5th through October 5th. 2. Any library-media specialist who visits the Perma-Bound booth at October’s OTA/Encyclo-Media conference can pick up a free copy of the DVD. If you aren’t a Perma-Bound customer, we hope you’ll speak with us about the benefits of having Perma-Bound books in your library. 3. We want every student to see these videos. So, if you don’t attend the conference, and you’re still not ready to make the switch to Perma-Bound, no problem! Beginning December 10th, please contact us, and we will send you the video links. That still leaves you with three months to increase interest among your students, before the March voting deadline. 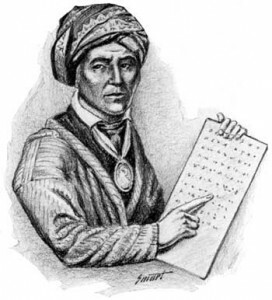 For ideas for promoting the Sequoyah Book Award to your students, visit www.oklibs.org and visit their Sequoyah section. There is great stuff there. Or contact us – we have some good ideas too.